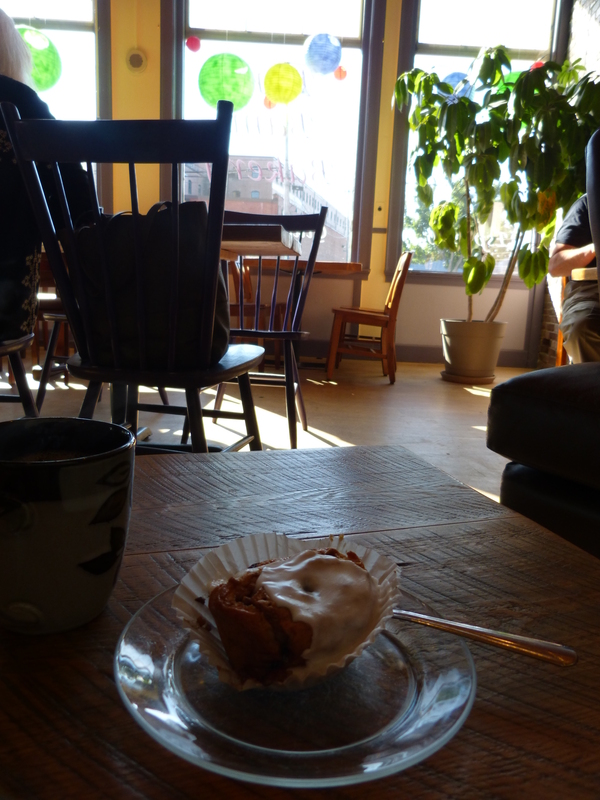 Today started with possibly the best breakfast ever – coffee and cinnamon rolls (which I could actually eat!) at the wonderful Bam Bam bakery. They were so good we bought more for the following day, as well as some bread and other treats too! 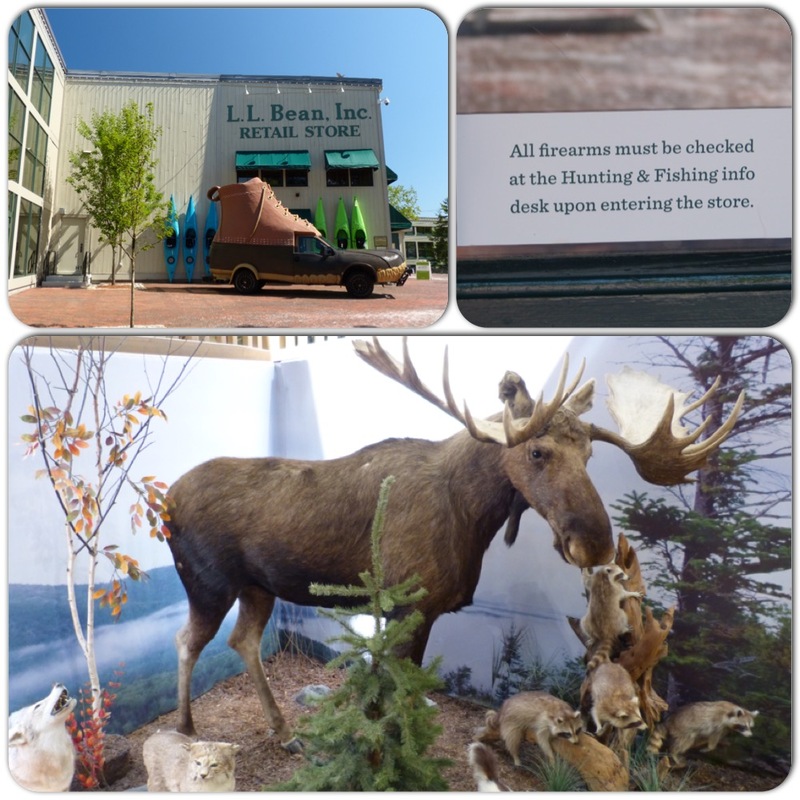 Next stop was Freeport, ME, for a trip to L.L. Bean. (For my English readers, this reminded me very strongly of the Clarks village in Street, Somerset.) Tom picked up a pair of new hiking trousers, and we spent a while enjoying the environs before getting back in the car and heading on to our planned lunch spot. 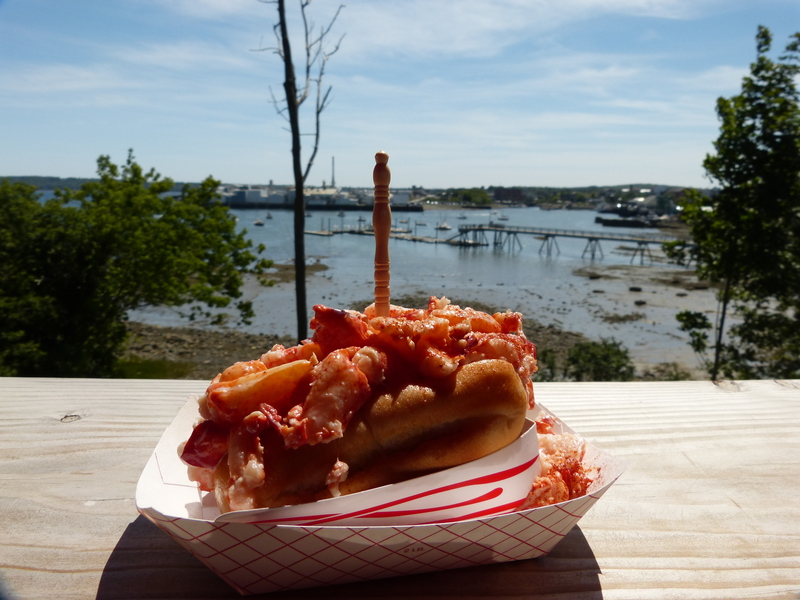 The superbly-named Claws is a lobster shack just outside Rockland which stocks gluten-free bread – the perfect location for us to sample that classic New England summer delicacy, the lobster roll. Suitably fortified we continued on to Mont Desert island and our motel on the outskirts of Bar Harbor. We were about a 20 minute walk from the town centre, so we wandered in to take a look around – past elegant holiday homes, expensive hotels, and the beautiful scenery across the bay. 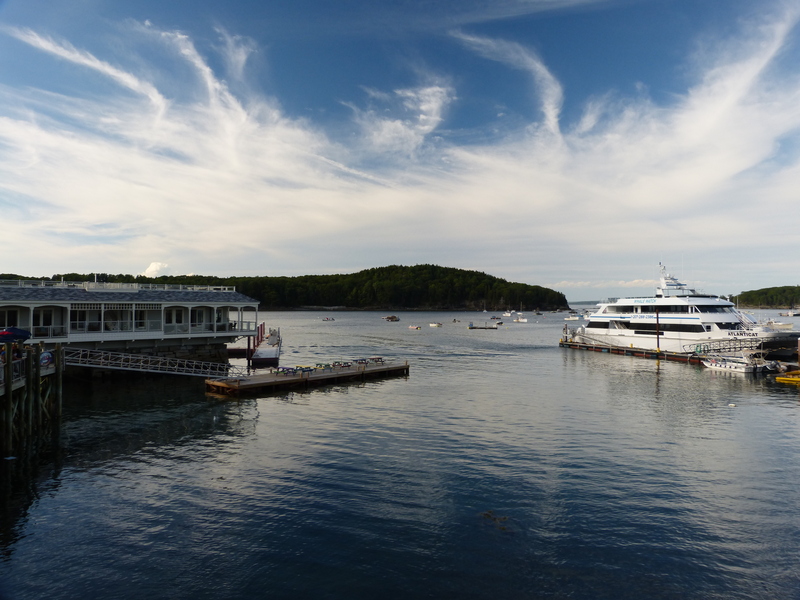 Bar Harbor is very much another holiday place, but it felt a lot more down-to-earth than Newport did (at least, there weren’t quite as many fancy yachts on display), and we liked it immediately. After the day’s indulgences, supper was a simple picnic back on the veranda outside our room, from which we could see approximately 2mm of sea over the roof of the building in front of us. The view took a back seat to Tom’s favourite holiday indulgence however, and we soon retreated inside for an evening of Food Network on tv. 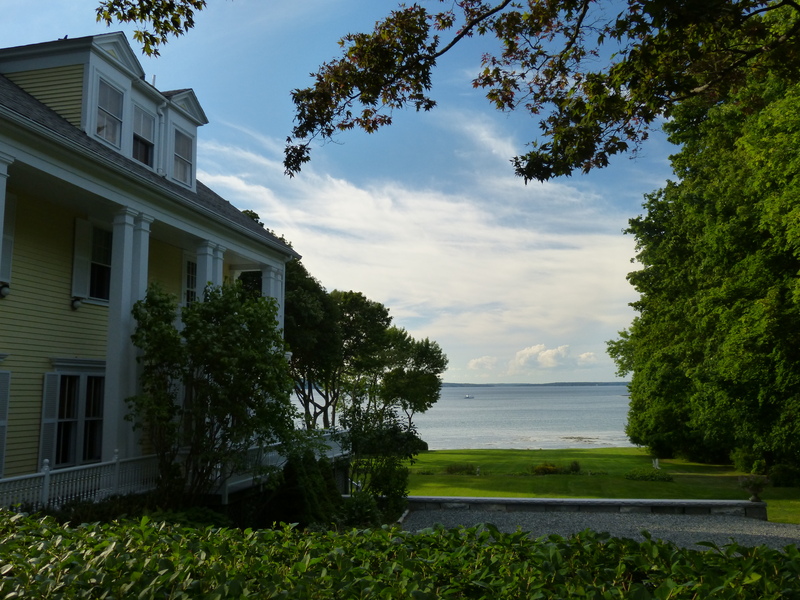 This entry was posted in Food and drink, Holidays and tagged Acadia, Bar Harbor, cinnamon rolls, Downeast roadtrip, gluten free food, lobster rolls, Maine, Portland Maine by Emma Davidson. Bookmark the permalink.